Terralsole: "Land Towards the Sun"
After three days in Rome, my husband and I relocated our Italian vacation to the southern part of Tuscany. We wanted to step off the tourist trail and take a couple of days to immerse ourselves in the Tuscan wine culture. A year ago I wrote an article titled “A Trip to Tuscany Without Leaving Home for #ItalianFWT.” It was my first month of participating in the Italian Food Wine Travel group. In this article, I featured a 2004 Brunello from Terralsole. It was in researching that article that I not only fell in love with Terralsole but told my husband when we go to Italy we MUST stay there! You see Terralsole does not only produce world-class wines and olive oil but it is also a bed and breakfast. Terralsole is owned and operated by veteran winemaker Mario Bollag and his beautiful wife, professional musician (and American) Athena Tergis. They are both gifted artists and wonderful hosts; we cannot wait to visit them again! 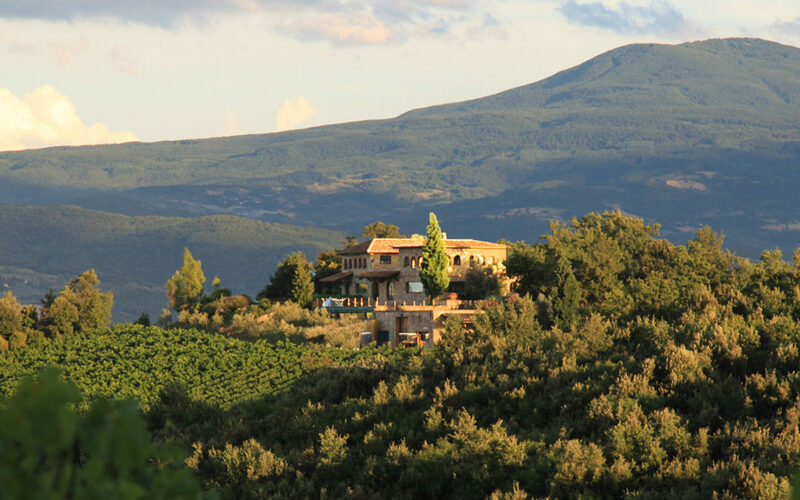 Terralsole is open to guests for tours and tastings by appointment Monday through Friday and their three-bedroom villa is perfect for a cozy Tuscan vacation. I encourage you to visit the Terralsole website to learn more about the winery, information on tours, tastings and staying, as well as to view their entire portfolio of wines, join their wine club (no purchase obligation) for information on specials and tours throughout the US, and to purchase their exquisite wine!